Godox's latest XEnergizer location flash has a stronger head designed to accept heavier light shapers. 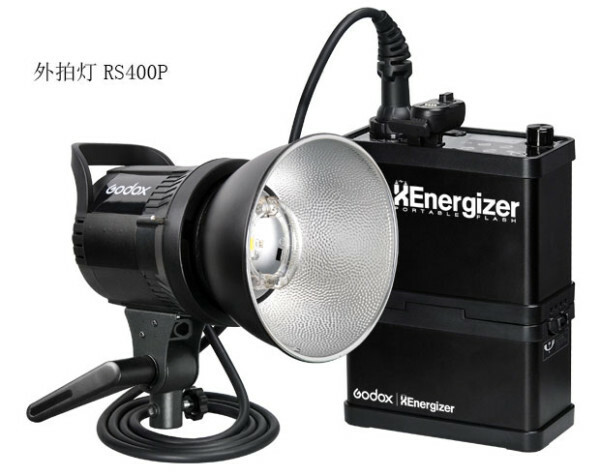 Chinese lighting manufacturer Godox has announced a new version of its XEnergizer location lighting kit. The RS400P and RS600P are much like the original ES400P and ES600P, offering a lithium-ion interchangeable battery pack, wireless remote control, digital power adjustment and a Bowens S-type accessory mount. However the most recent RS-series swaps out the old head for a bigger, sturdier one, which should boost confidence of photographers worried about the XEnergizer’s ability to hold heavy light modifiers. There is also an improved LED modelling lamp. Following its unveiling at the China P&E show in Beijing, we can expect to see this new location lighting kit on shelves soon, including at US-based retailer CheetahStand.com, named the Cheetah Light CL-600. There is also a Lencarta-branded light, the Safari 2, which incorporates the same head design. The original XEnergizer is available on eBay for around $500 a kit. Are you in the market for a portable lighting kit? What would you go for?